“All things are inherently pure and it’s more like our projection onto that that is less than pure. The Christ saw the Magdalene in her essential purity." Here is my latest work, of which I'm very proud. I hope it makes your life a little sweeter, smarter, more inspired and optimistic. Enjoy and have a lovely week! I'm doing some fairly epic discounts for your holiday shopping this year. Through 11/29 you can take 40% off all of my prints, pins, and stickers by using this link or using coupon code "GIFTING" in checkout. And until I decide otherwise, you can take 20% off your ENTIRE order by using this link or using coupon code "MEOWMEOW" at checkout. I'll honor similar discounts for my original paintings – and even more (60% or more) for trades in cryptocurrency. I cannot overstate how empowering the boom of interest in cryptoassets has been for me and my fellow artists and I'll be exploring the social implications of Bitcoin, Ethereum, IOTA, and others in the weeks and months to come. Email me back if you're intrigued. 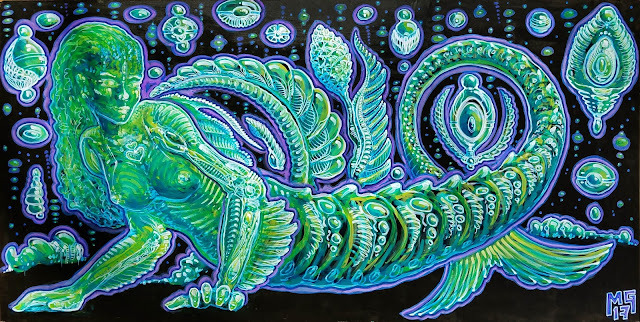 Painted live at Convergence at Arcosanti (check out their promo trailer with my music here) and the grand opening of Austin's new visionary art mecca, Gallery Lucid. 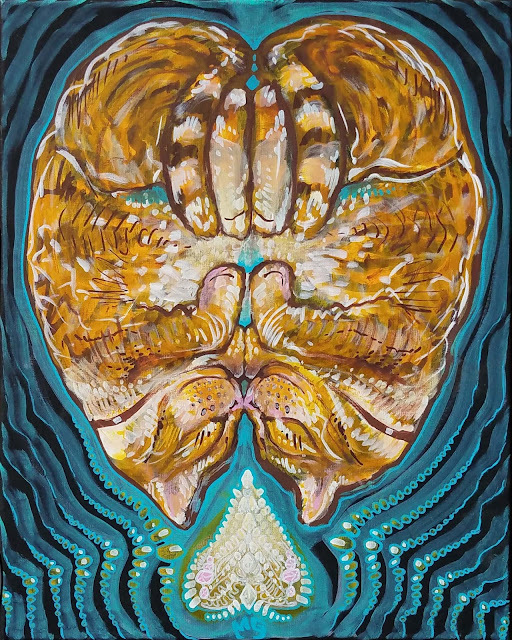 Read the story of this piece and check out fine art reproductions here. Painted at home as a commissioned pet portrait for my friend, voice actor Elizabeth Maxwell. Read more about this piece and check out fine art reproductions here. 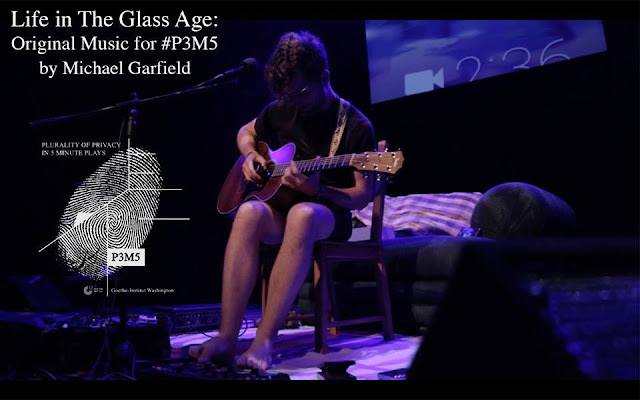 Stream or buy Life in the Glass Age on Bandcamp and 50% of the profit supports the Electronic Frontier Foundation. Patreon supporters at the $5 level get this album (and ALL of my new music) for free – you can dive in here. 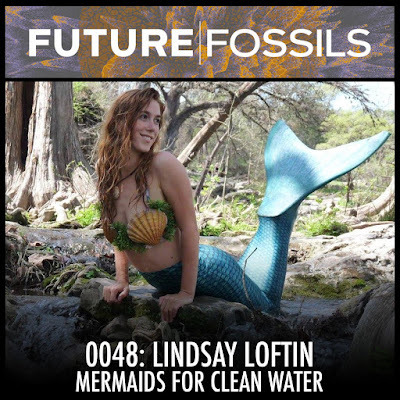 This week’s guest is my friend Lindsay Loftin, a professional mermaid who uses her performances to raise awareness of marine conservation issues. She also boasts 60 pushups in two minutes and the ability to transform phone-addicted schoolchildren into avid gardeners. Listen here. 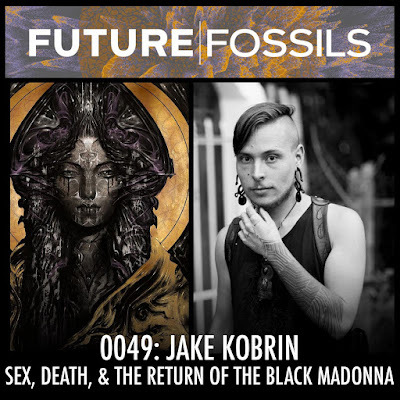 This week’s guest is visionary artist Jake Kobrin, whose digital paintings explore a gorgeous, dark, evocative terrain of non-ordinary human experience and twist religious iconography into a metamorphic form well-suited to our psychedelic modern era. We discuss his painting “Black Madonna” and the return and healing of the repressed feminine – not just women, but the body, the psychological shadow, marginalized peoples, death, and transformation… Listen here. Oh! And I appeared on my friend Matt Belair's podcast, Mind & Spirit. We talk about fractal time, futurism, and adapting to accelerated change. Enjoy!